These are the words our entire team lives by. 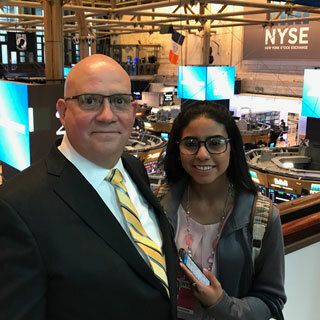 Robert and his God-Daughter, Crystal, enjoying the special honor of being invited to the floor of the New York Stock Exchange. Robert loved treating his God-Daughter to her first trip to New York City, and they explored many of the sights as well as The Lion King Broadway Show. When he started his career as a Registered Nurse and a bit later as a Certified Registered Nurse Anesthetist, Robert developed strong compassion for those patients struggling with disabilities. And as an adopted child, he knows firsthand what its like to feel rejection and the challenges of being an outsider at various times. When his career switched gears and he entered the legal profession, his love of combining medical and legal skills to truly make a difference in people’s lives made the move to Professional Trustee a natural evolution. In his current practice, Robert Zielke is responsible for managing the investment decisions for over $100 million in assets. Today, he’s a champion for people facing disability and the challenges that go with it. As the former Chairman of the Cerebral Palsy Board, Robert worked directly with incredibly strong individuals, facing indescribably difficult battles. As an Accredited Investment Fiduciary (AIF®) designee, Robert Zielke holds a distinction not often found amongst other trustees. This means he has been specifically certified for his ability to follow a strict process that protects your interests and makes sure all decisions are made with the highest level of care. When it comes to efficiency and organization, nobody beats Karen. Whether she’s reviewing disbursement requests or prepping Letters of Authorization, you can be sure she’s putting her full attention into every step and making sure nothing gets overlooked. Karen takes great pride in protecting beneficiaries from fraud, waste, abuse, diversion, exploitation and embezzlement. 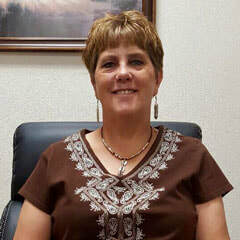 Karen is passionate about helping people and it shines through in the way she is always deepening her knowledge of the other areas of the business, while striving to complete disbursements efficiently and with quick turnaround. When you call our firm, Allison’s friendly voice is likely the one you’ll hear on the other end of the phone. Whether you’re phoning, emailing or faxing us, Allison is most often your first point of contact. She’ll answer your questions and you will know that everything will be taken care of. Behind the scenes, she’s always evaluating our processes, and honing our efficiency. 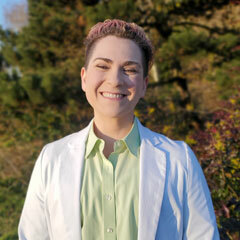 Allison handles documentation for general trust administration, taxes, employment related matters, and more. But one of the things she loves most is working with caregivers, because she gets to see firsthand the positive impact they have on beneficiaries’ lives. When you’re feeling confident in how meticulously our records are organized and backed up, Kirstin is the one you can thank. 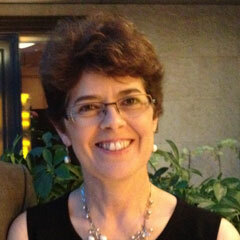 She brings over 30 years of practice and knowledge in the records and information management field. Her system makes sure all your personal information is kept secure, and that our team can always find exactly what they’re looking for within seconds. Kirstin believes that quality management goes hand-in-hand with records management. That’s why she regularly audits policy and procedure for regulatory compliance and quality control, that is above industry standards. By doing this, she has attained a recordkeeping system that is second to none and safeguards your trust against accidental loss or destruction of information, as well as fraud, waste, and abuse.